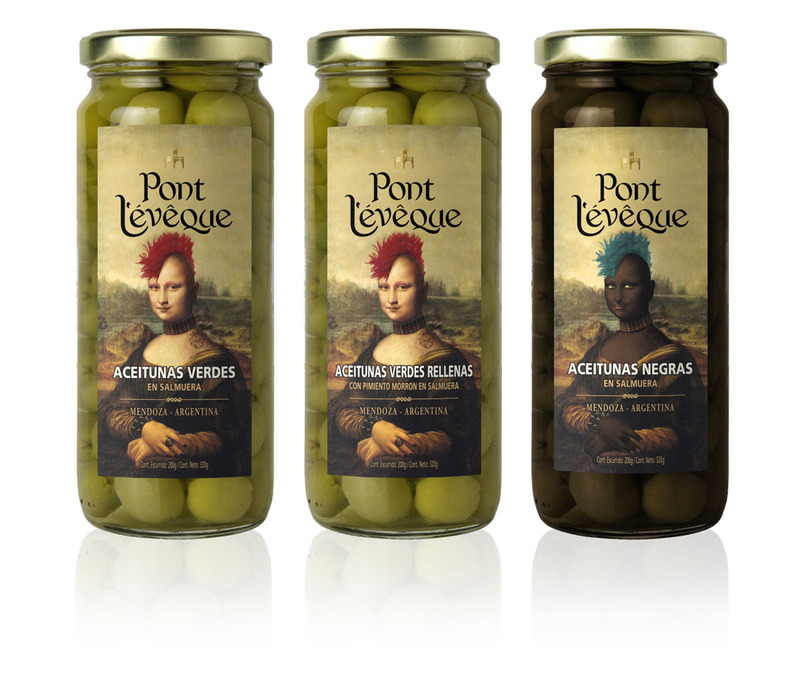 From the old and well-known Pont L'eveque wine brand that we have previously presented in this blog, this special edition of table olives was born, with a packaging very played, transgressive, fresh and fun like most of the projects of Bodega Estrella of the Andes. 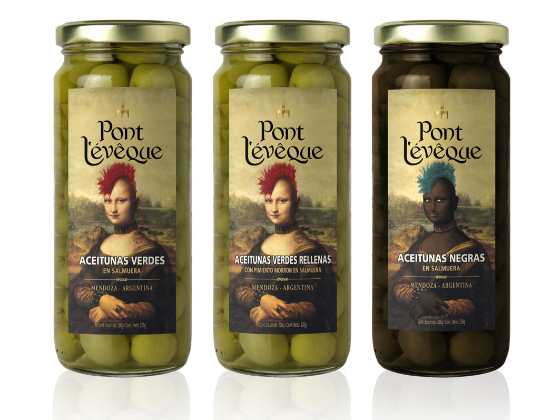 Inspired by perhaps the most famous work of Leonardo Da Vinci "La Gioconda", but with several changes with "punk" style, achieving an irrational contrast. It is always fun and a challenge to work with the people of Bodega Estralla de los Andes who does not stop having ideas that break with the traditional image and perception of most wineries.